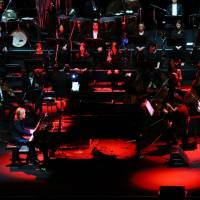 Classic concert: Yoshiki sits at a piano and performs with Katie Fitzgerald of Violet UK, a Yoshiki side project. Despite being billed as a solo tour, X Japan’s Yoshiki Hayashi’s “Yoshiki Classical” tour is undoubtedly deeply rooted in the lore of one of the biggest rock acts of the country. The concert at Tokyo International Forum on Dec. 6 was packed with tear-jearkers, highlighting a career — and life — filled with both triumph and tragedy. 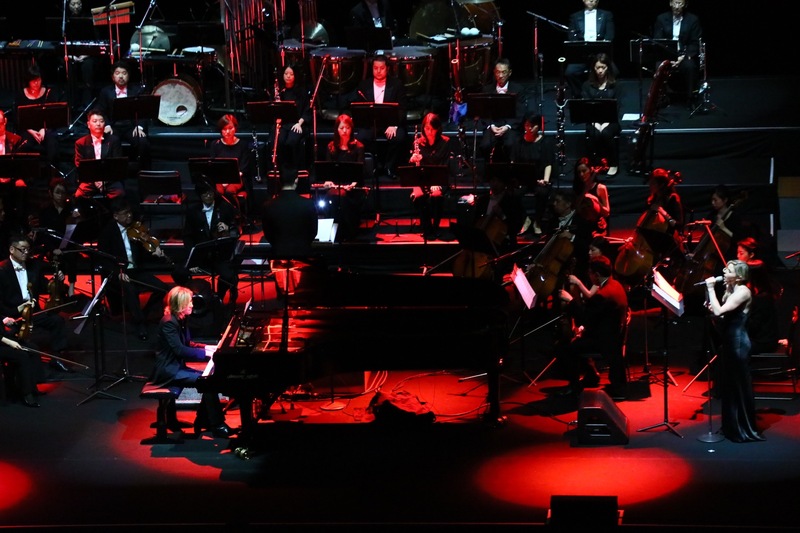 Yoshiki, performing on piano and backed by an orchestra conducted by Yuga Cohler, played arrangements of his band’s hits — including “Forever Love,” “Art of Life” and “Kurenai” — along with compositions from his solo repertoire. 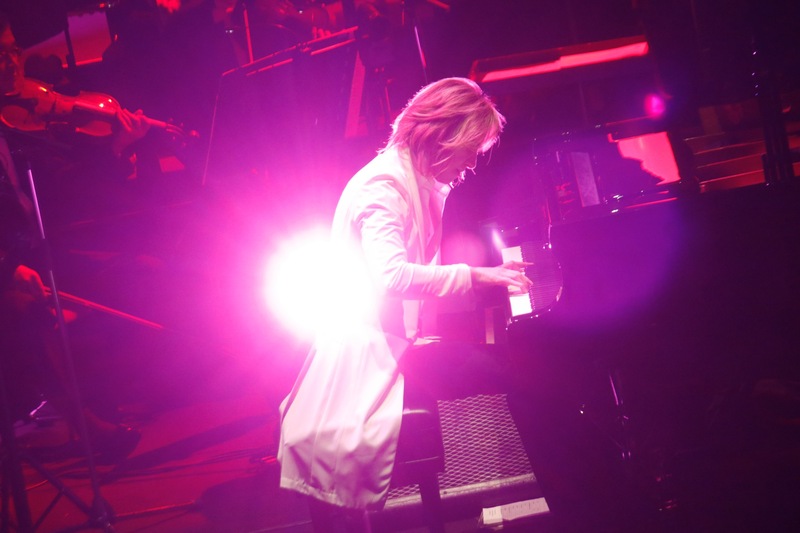 The concert began with a performance of “I’ll Be Your Love” by the orchestra, a piece written by Yoshiki for the 2005 World Exposition in Aichi. Afterward, a scene from the X Japan documentary “We Are X” played on the screens above the stage. In the clip, Yoshiki recounted the day he came home from brass band practice as a child, only to find his father dead from a suicide. The musician then appeared on stage and launched into a rendition of “The Last Song,” which closed X Japan’s farewell concert in 1997. The set also featured guest vocalists Katie Fitzgerald of Violet UK, a Yoshiki side project, and opera singer Satomi Ogawa. The former provided vocals on an arrangement of X Japan’s “Hero,” and the latter displayed her talent on “Miracle,” an epic opera penned by Yoshiki in Italian that is often used to open X Japan concerts. Other highlights included a rendition of “Swan Lake” by Tchaikovsky, and “Without You,” a piece Yoshiki wrote soon after the death of former bandmate and guitarist hide. A montage of X Japan’s younger days accompanied that performance, featuring deceased members guitarist hide and bassist Taiji, along with photos of Yoshiki and his father, proving to be the emotional peak of the evening. The night closed with an orchestral arrangement of X Japan’s hit ballad, “Endless Rain.” Yoshiki let the audience take over vocals for the last chorus, with Hall A of the Forum erupting in song — a hallmark of the stadium anthems of the late 1980s. 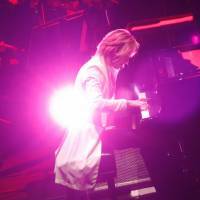 Yoshiki simply looked on with an aura only arena-worthy artists are perhaps capable of, transforming the hall into Tokyo Dome for that moment. Despite all the turmoil and dark history, the story of X Japan and Yoshiki always seems to have a bit of hope at the end, and the night proved to be confirmation for Yoshiki and his fans that they are all in this together.